After much anticipation and obsession, the newest high jewel 'Lucinda' by Stefano Canturi is brought to life. Canturi high jewel's display exceptional artistry and quality. They are only ever introduced either by special commission or upon the designer's creative inclination. Meaning lady of light, 'Lucinda' is an elegant modern masterpiece that sees Canturi take the iconic 'Cubism' concept to new heights. 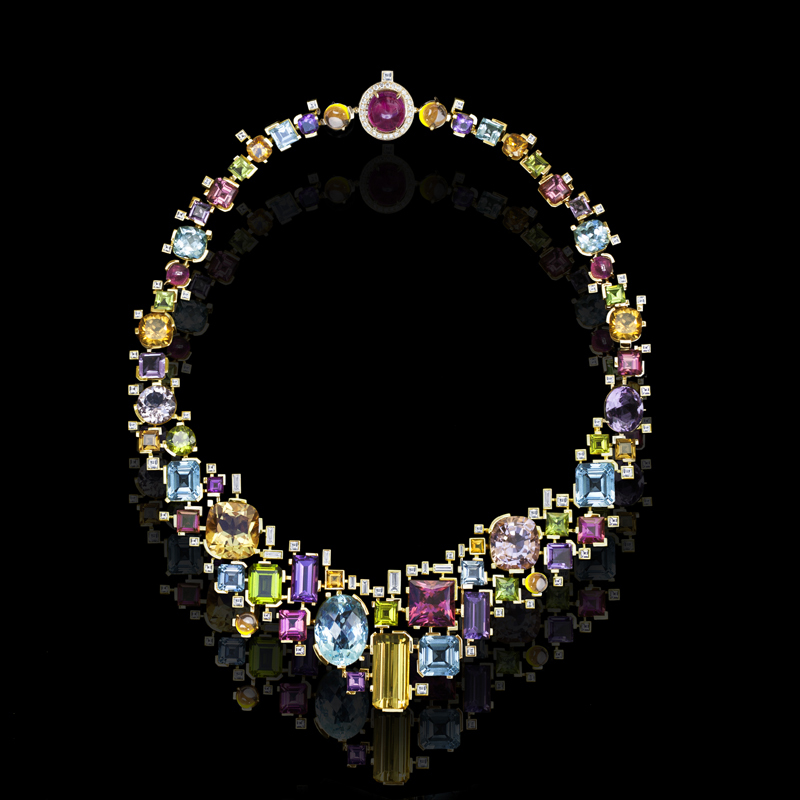 'Lucinda' features pink tourmaline, citrine, amethyst, topaz, peridot, yellow beryl and aquamarine gemstones.